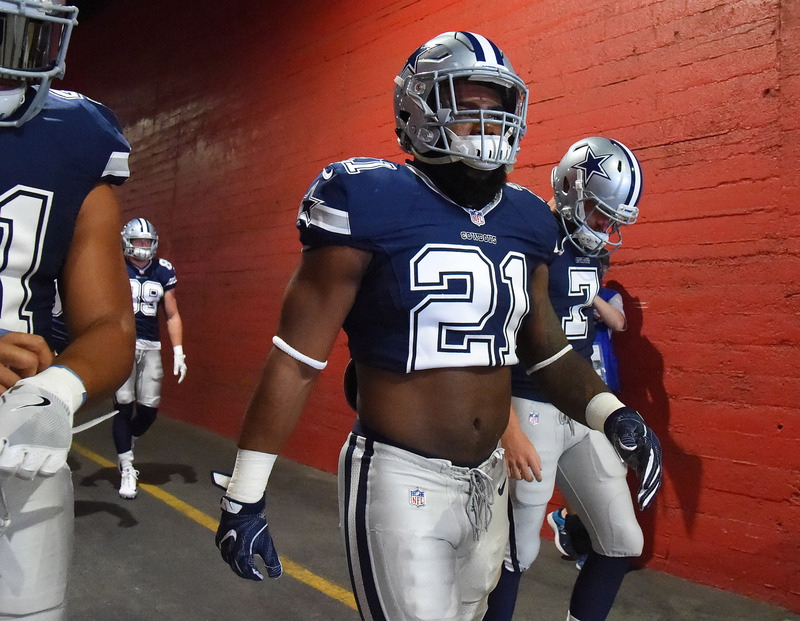 Ezekiel Elliott’s six-game suspension has reportedly been upheld and will begin in week two of the NFL season. The suspension stems from an alleged domestic violence claim from one of Elliott’s ex-girlfriends, Tiffany Thompson. The Dallas Cowboys running back appealed the suspension last week, but NFL commissioner Roger Goodell’s designated arbitrator, Harold Henderson, upheld the suspension in a ruling on Tuesday, ESPN’s Chris Mortenson reports. Because of the timing of Henderson’s ruling, Elliott will be allowed to play in the Cowboys week one game against the New York Giants but will sit out weeks 2-7, according to multiple reports. However, there is a chance that the suspension could be delayed even longer. No question, Elliott’s legal reps and NFLPA will vigorously continue the fight beyond tonight. In addition to appealing the suspension Elliott also sued the NFL, asking the Eastern District Court of Texas to overturn Henderson’s ruling before he even came to a decision. In his suit the running back claims there was a “league-orchestrated conspiracy by senior NFL executives . . . to hide critical information,” according to CBS Sports. Elliott went a step further and sought a restraining order against the league as well; if granted it would prevent the NFL from enforcing Henderson’s ruling and allow Elliott to play until an injunction ruling is issued. To sum it up: Zeke Elliott plays Sunday. Could get a restraining order to stay in the field this season. Could not get it and sit Weeks 2-7. If it plays out in Elliott’s favor, he will be allowed to play while the matter is handled in court but could still serve the suspension later. If the injunction is rejected, he will serve the suspension immediately following his week one appearance.